Many investment institutions are optimistic about the trend of A-shares after the Spring Festival, and believe that the current A-share market has a good allocation value, optimistic about blue-chip varieties. The downward pressure on the economy this year may have an impact on the stock market trend. In this regard, some institutional investors believe that the market is expected to be more adequate for the economic downturn, the market's main risk release process is basically over, and A shares are expected to gradually stabilize. China Merchants FundIt is believed that for A-shares, the downward trend of the economic fundamentals has been expected to be more adequate, and the bottoming policy has been continuously introduced, and the beginning of the yearCreditEarly release and early decentralization of local debt may even bring a certain probability of economic over-expectation. In addition, domestic liquidity easing measures have been further supported by the global environment. In addition, the Fed’s interest rate hike is expected to weaken and the US economy still has some resilience. It will continue for some time to support the rise in global stock fund risk appetite. Therefore, whether in terms of economic fundamentals, liquidity, or overseas environment, A-shares are facing an upward trend in the future. Chongyang Investment believes that China's economic restructuring and deleveraging process is still not over, and the short-term economy also has cyclical downward pressure. However, after the substantial adjustment in 2018, the A-share market and overseas Chinese concept stocks have fully contained various negative expectations, and the market's main risk release process has basically ended. With the adjustment of various domestic macro policies and the improvement of the international market environment marked by the Fed's adjustment of interest rate hikes and contraction rhythm, the A-share market is expected to gradually stabilize. According to Zhang Zhizhou, general manager of Dunhe Asset Management Co., Ltd., since 2019, the global economy has ended its US economy and has entered a period of simultaneous slowdown. This change is positive for the Chinese economy and the capital market, and the medium-term uncertainty has risen. He explained that the overseas financial market asset prices have begun to anticipate the end of the Fed rate hike cycle or have ended during the Spring Festival holiday. In fact, the Fed’s latest statement also showed a cautious wait-and-see attitude towards continuing interest rate hikes. Federal ReservecurrencyThis change in policy means that the pressure on capital outflows from developing economies has begun to ease as the developed economies tighten monetary policy. As the US economy slows further, the depreciation of the RMB will further ease. The historical law shows that after the capital outflow and the liquidity pressure brought about by the depreciation of the local currency are alleviated, the risky assets such as the stock market of the developing economies will be strengthened step by step. Taking into account China's current "six stable" macroeconomic policies, the latest changes in the US economy are conducive to the short-term performance of risky assets such as the stock market. "Overall, the A-share market has fully released various risks, and has already released the risks excessively. It has already possessed the value of medium- and long-term allocation. The market has completed the bottoming stage and entered the bottoming stage. Although the process of bottoming has been full of twists and turns, But the bottom of the market will continue to rise." Qianhai Open SourcefundChief economist Yang Delong also believes. Data show that this yearShanghai and Shenzhen 300The index's cumulative increase is close to 8%. The US dollar-denominated MSCI China Index rose by about 11% as of February 8, ranking the forefront of the world's major markets. China Merchants Fund believes that from the valuation point of view, the valuation of the Pand A shares of the financial, petroleum and petrochemicals is only 4% of the historical level, and the current A-share market has a good allocation value. Structurally, we are optimistic about the mid- and long-term perspectives that benefit from the inflow of foreign capital, such as blue-chips, and benefit from lowinterest rateEnvironmental, policy-hedged sectors such as finance, real estate and infrastructure, and new infrastructure sectors that benefit from continued support for support policies. Chongyang Investment believes that the current depressed capital market provides us with an excellent opportunity to lay out future winners. Specifically, it believes that it is difficult to have systematic investment opportunities in the A-share market in 2019, but the probability of systemic risks is extremely low. Especially with the differentiation of the company's profit and the marketinterest rateWith the expansion of credit spreads, the market may present a structural feature of “big divergence”. The market will shift from structural convergence in 2018 to structural divergence in 2019, and structural divergence may exceed expectations. In terms of strategy, Chongyang Investment believes that it should be bold to attack and decisively lay the winner of the structural divergence market. It believes that the science and technology company that took the lead in occupying the commanding heights in the process of China's economic transformation and upgrading will be the advance force of the structural divergence market. 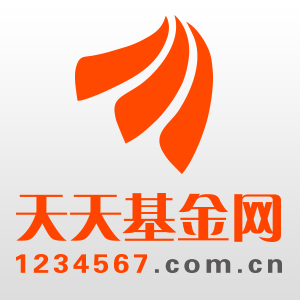 In addition, modern service companies with excellent credibility and excellent management capabilities are also equipped with both domestic and foreign demand, consumer goods companies with outstanding brand power, and weak cycle industry leading companies that are related to the national economy and the people's livelihood. Yang Delong also believes that the A-share market already has medium- and long-term allocation value. "At the bottom of the market, we must have some confidence and patience, and we must have confidence in the long-term development prospects of the Chinese economy." He said that we must continue to adhere to the concept of value investment, return to the fundamentals of stock selection, and tap somePerformanceMore than expected stocks. Zhang Zhizhou reminded that in the medium term, the current implied expectations of financial market risk asset prices only reflect the expected slowdown of the global economy in 2019. This is still optimistic compared to the degree of economic slowdown indicated by the forward-looking economic indicators of major economies such as the United States, China and Japan. This means that China's external demand environment may deteriorate worse than expected in 2019. In the face of downward pressure on real estate, manufacturing investment and consumption, the deterioration of the external demand environment has increased the Chinese economy, and the downward pressure and uncertainty of the stock market (profit).